Hi, I'm Tina, I want to talk about having the gift of clairsentience. So what is clairsentience you say? It’s being able to sense the energy of others. To be able to walk into a room, and understand the undercurrent of the collective feelings of people present in the room. It is the overall feel of everybody's energies put together. Being able to do this does make you feel very self-conscious at times. As well as very over overwhelmed, if there are strong energies present from very strong personalities. As a reaction, you internally conclude that the people in this room feel this way, so you must not try to do anything to upset this. Instead of viewing everybody as an individual you sum them all up together in a group. This makes it that much harder to invite yourself in because you have that fear in the back of your mind, will they like me? For years I could not understand why I was so shy, and so sensitive to others. I felt so small and tiny compared to everybody else. I didn't understand I was comparing myself to the whole group itself. Now that I have finally realized my gift I can have fun with it. Sensing others emotions, even when they haven't stated anything about what's bothering them gives me a rare insight. I can know what reaction from me might help them. What approach I should take when around them that second. Clairsentience lets me understand people on another level, I can feel their energy and because I can do this I am naturally able to connect to them though a psychic line connection - a spiritual rope as sorts. It lets me know when things are good or bad.  Being comfortable with my abilities I can draw up psychic lines to people I meet and even extend temporary psychic lines to people whom they are connected with emotionally as well. It gives me the ability to read people, and also others that are close to them.  I use this often for my psychic readings I give people. To sense how another feels, it is so helpful and accurate in love readings. To start off being afraid and hindered at my talents, to now use them for benefit is truly a blessing. I just wanted to share this with all of you. I've arrived at a destination my guides have pushed me towards.